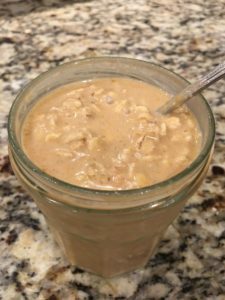 Have you ever tried overnight oats a/k/a overnight oatmeal? If not, put this recipe on your to-do list. You can probably tell that I love oats and oatmeal, and I also am always on the hunt for weekday breakfast ideas that don’t require much of me in the morning. This recipe takes no more than 5 minutes to prepare. You do need to prep it at least 8 hours before you eat it, however. I like to throw mine together the night before and then I can go to bed knowing that I have a quick, delicious and healthy breakfast waiting for me in the morning. You can even double or triple the recipe into individual mason jars. Then in the morning, grab it out of the refrigerator, give it a quick stir, add some crunchy nuts and enjoy. Place all ingredients except for pecans into a tall glass, mason jar, or jam jar. Stir ingredients to mix well. Refrigerate for at least 8 hours, or up to 3 days. When ready to eat, remove from refrigerator and add chopped pecans, if desired. Enjoy! 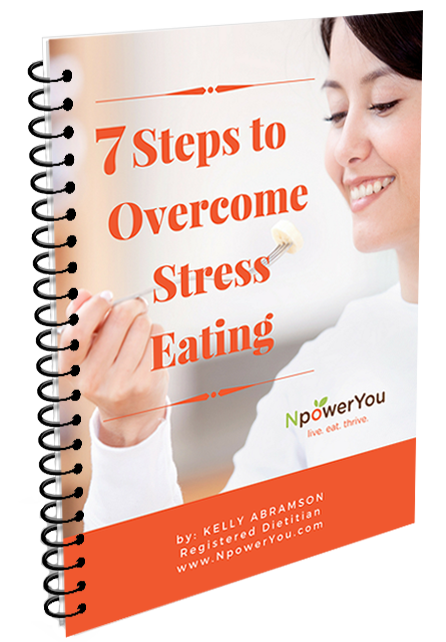 Enter your Email and your First Name and receive "7 Steps to Overcome Stress Eating."